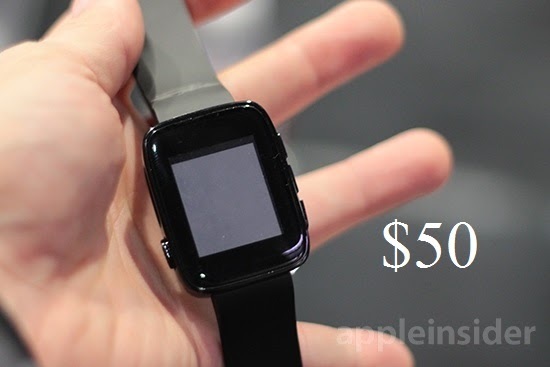 It is expected that SmartWatch and Fitness Bands will cover a lot in CES 2014. All the major companies have something to impress us for our bare human hand. Among all the companies Archos has succeed to catch the eyes of many. Because they brought three models, the cheapest of which starts at just $50. So this could make your introduction to the world of SmartWatches easily. Archos also showed a flagship model with curved touchscreen and aluminum casing. All the models have Bluetooth 4.0 and support both iOS and Android devices. Among these three Archos will launch the $50 model first. It has a 1.55″ e-paper display and capable of showing only black and white. It’s rated for two weeks battery life so no complaint here. Second one has a 1.8″ color LCD for $100. The more power-hungry LCD however drops the battery life to around two days. By the looks of it, only this model will have a replaceable wrist strap. This and the e-ink models will launch sometime after the base model. Exact launch dates are unknown. 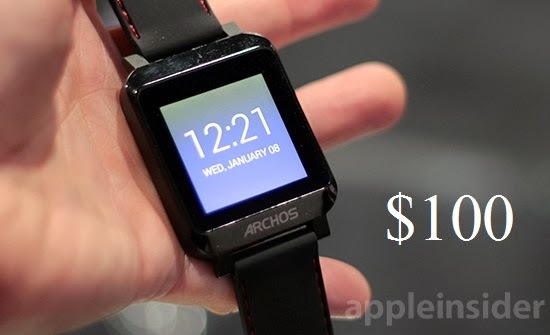 Top of the line Archos model will be priced at $130. 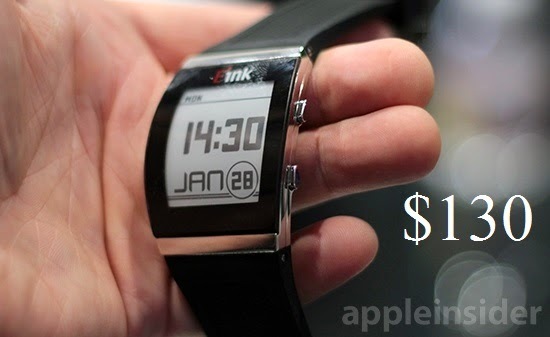 This SmartWatch has a curved, e-ink touchscreen and aluminum casing. This one promises up to a week and a half of battery life thanks to its power efficient screen and Bluetooth 4.0 Low Energy. The watch can connect to Android and iOS devices to serve notifications (text, email, social networking updates) and music playback controls. There is no exact word about the pricing yet. But we keep our finger crossed for a Q1 release.